Not sure which species it is. 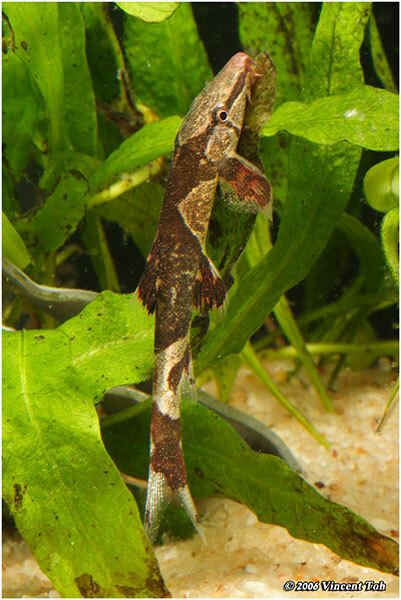 Did a search on the net and a few loaches were called saddlebacks... Guess from pictures that it is a H. orthogoniata. Now that's a good picture of the subect!! Any more detail or information about it? I bought this fish from Azmi as well. They hang around the outlet of my filter. They are weak eater in the sense that they navigate quite poorly to food. So far I only manage to see them when I use a stringe to 'shoot' tubifex worm near their suspected hideout. I have not seen them eating dry food in my tank. When I saw Azmi's tank, he seems to feed them with Hikari Algae Wafer. And I also feed mine with it. But they tend to eat only after sometime..And this fella doesn't have a big appetite imo. Mine like to hide in the plants and graze on the leaves and stays away from the air stone in the tank. 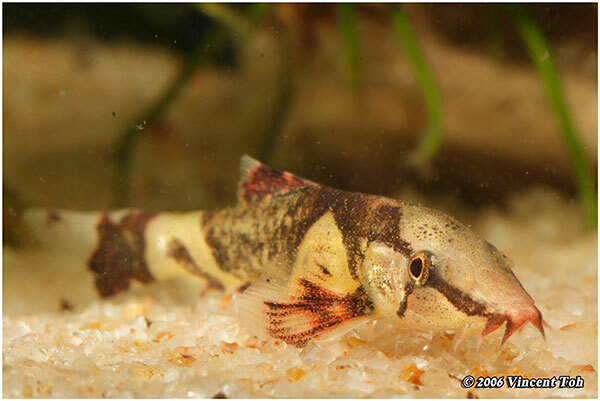 Azmi says that this loach is from the Thailand, Myanmar region. Yup. Mine's like to ride on the current. I've had these for about 2 years now, they do well in my tanks. 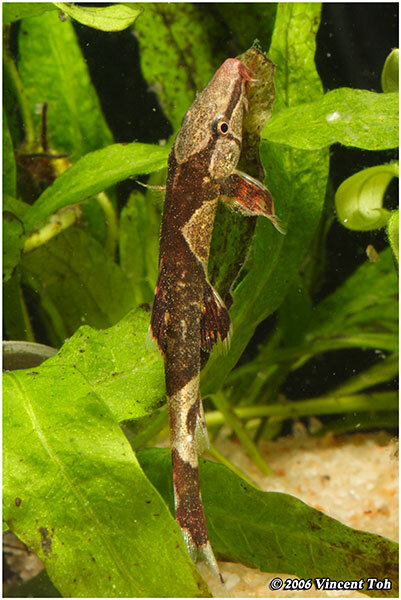 I have them with warmer water fish, they scrurry around and are seen quite often really. yoz.. never clean glass again yah? lol..
pics seem a little grainy leh..and subject is skinny..
i agree on the weak eater part.. anyway.. nice shots..
Grainy? Maybe due to the conversion to lower resolution. need to make them raise their dorsal for a good shot.